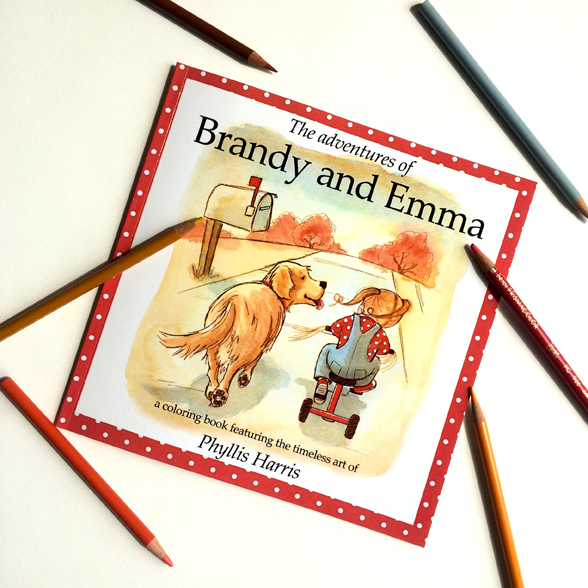 Brandy and Emma available on Amazon!! Wahoo! Wahooo! GREAT news! My brand new coloring book is available on Amazon, even internationally! Yay! Finally one that folks overseas can enjoy, too! Now including Amazon.co.uk, Amazon.de, Amazon.fr, Amazon.it, and Amazon.es. It's here!!! WE DID IT, again! It's here!!! Thanks to all of you who gave your input, WE DID IT, again! 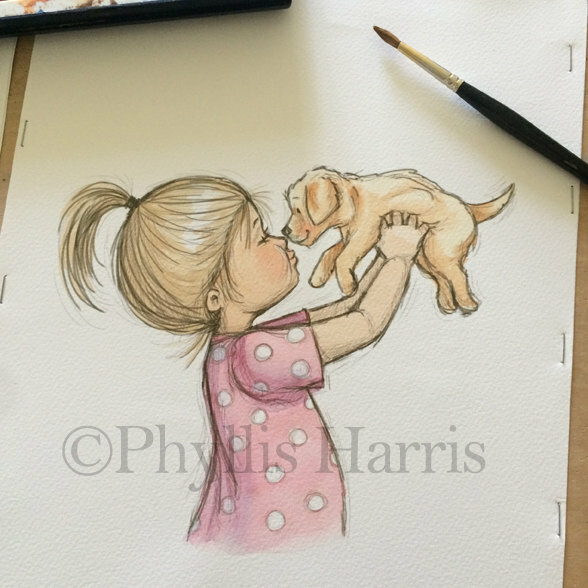 Another Phyllis Harris coloring book is available today at this link. It will also be available later in the week on Amazon as well. 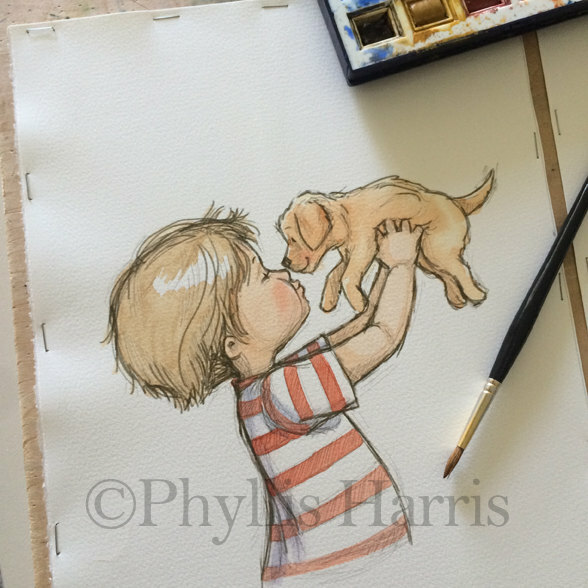 Keep an eye on my facebook page for updates! 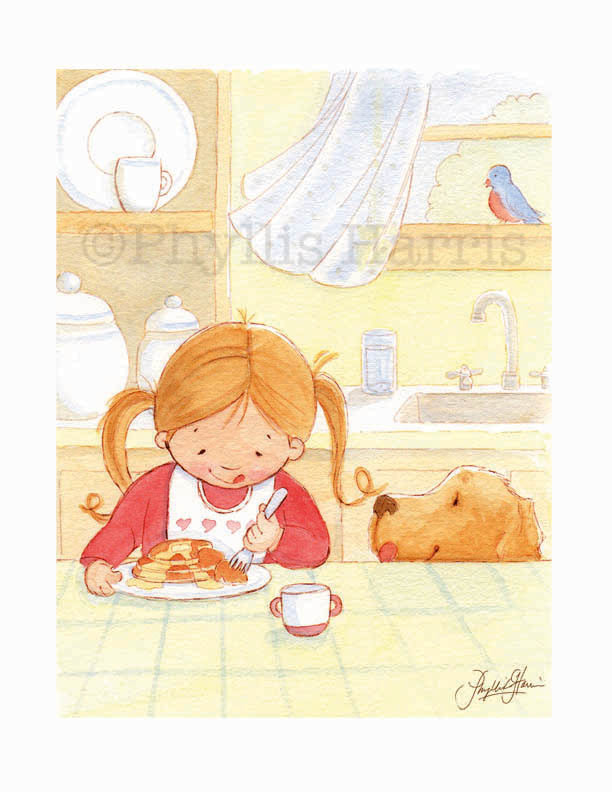 Since I have been illustrating children's books since 1999 and I am the illustrator of over 35 children's books, I thought it was high time I created and published a children's book myself! I am SO excited! Introducing my 2 in 1 coloring/story book. And my studio companion Cassie give her hardy approval! It makes a wonderful keepsake! 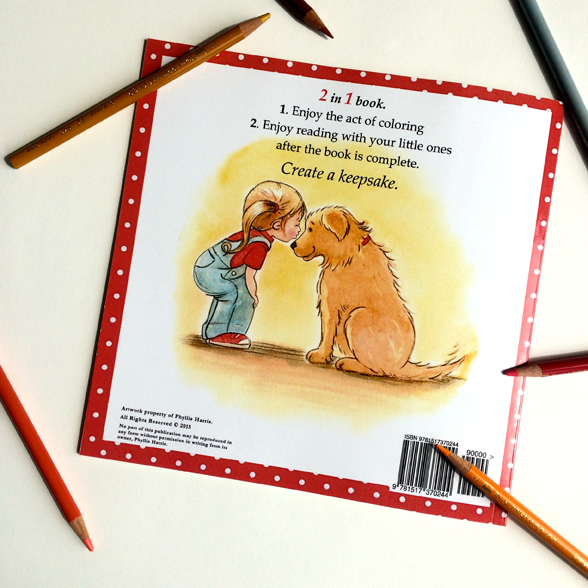 Adults can enjoy the act of coloring AND enjoy reading with their little ones after the book is complete. 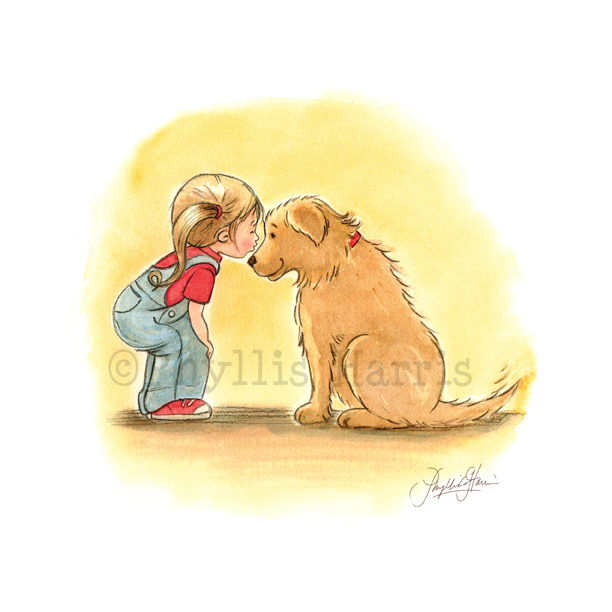 This 32 page coloring book/story book featuring a lovable little girl, Emma and her golden retriever friend, Brandy. 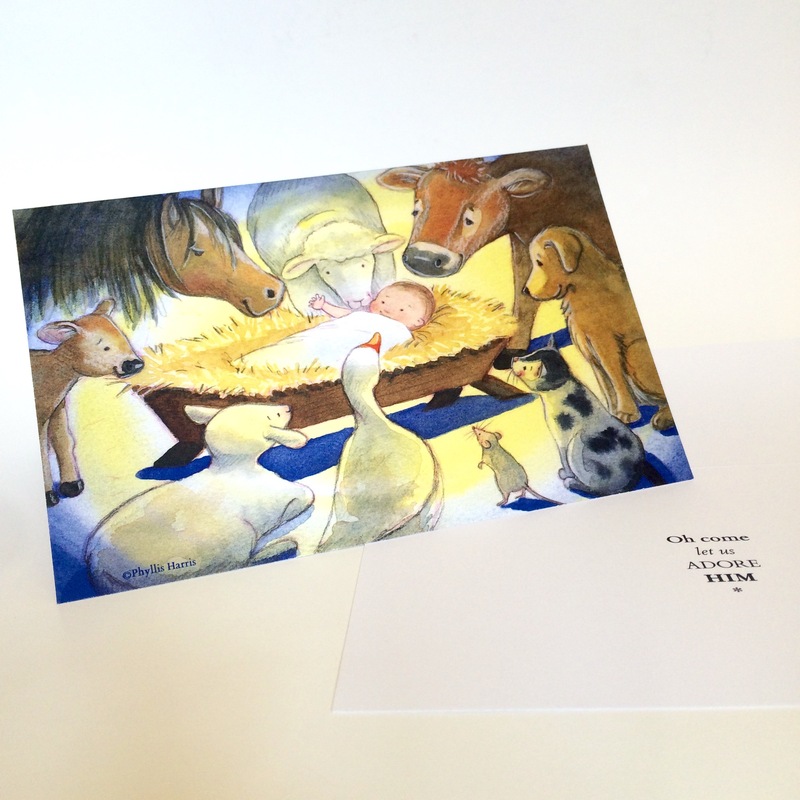 It includes the 14 timeless one-sided images created on nostalgic cream colored paper. 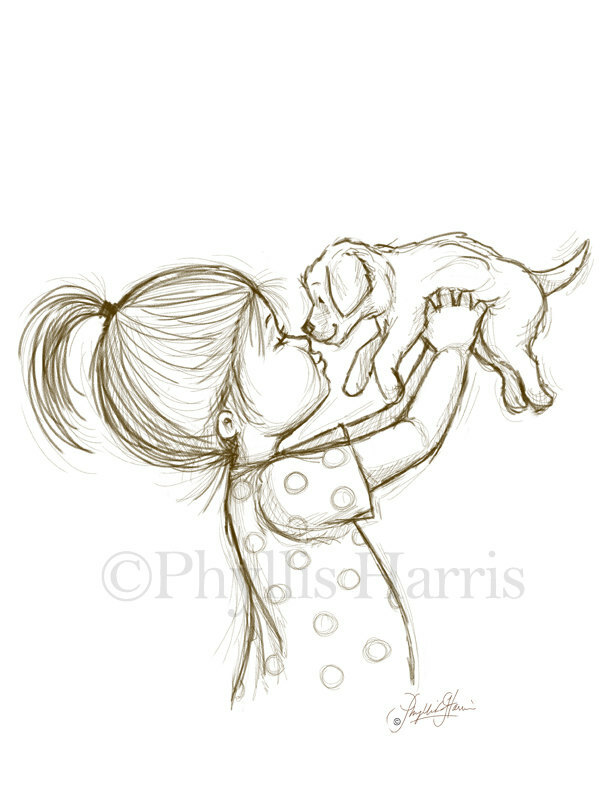 In case you haven't noticed, I have lots of art featuring golden retrievers and a small blonde headed girls? Ever wonder why? Many of you on this list are already familiar with my Brandy and Emma characters because of the stamping/crafting community. But for those of you who don't know who Brandy and Emma are, let me explain. 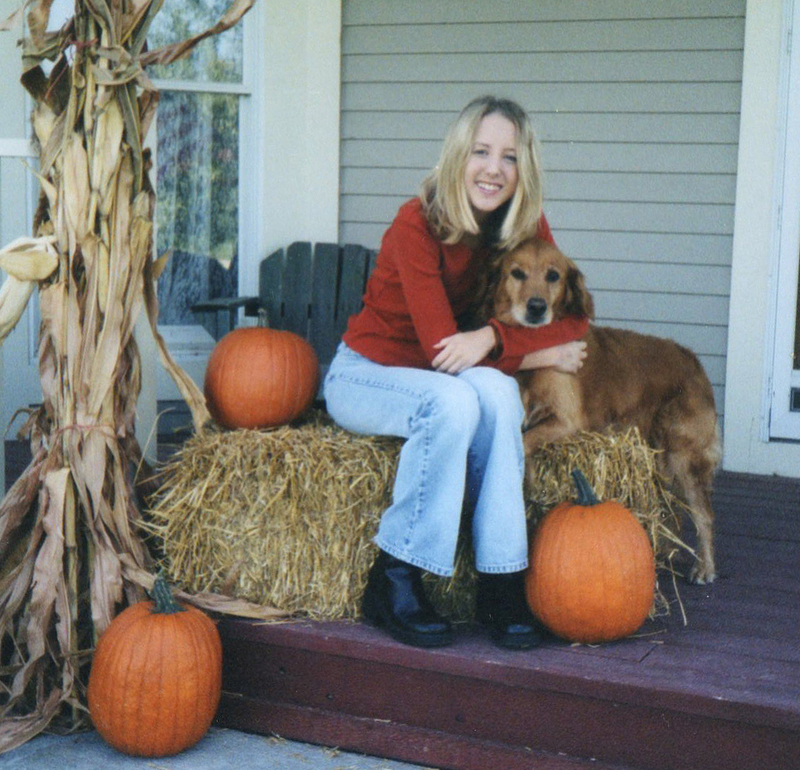 Brandy was our very first beloved golden retriever who has been gone from our lives for many years now but never gone from our hearts. She was the dearest creature and I often thought she was an angel sent by God to our family. 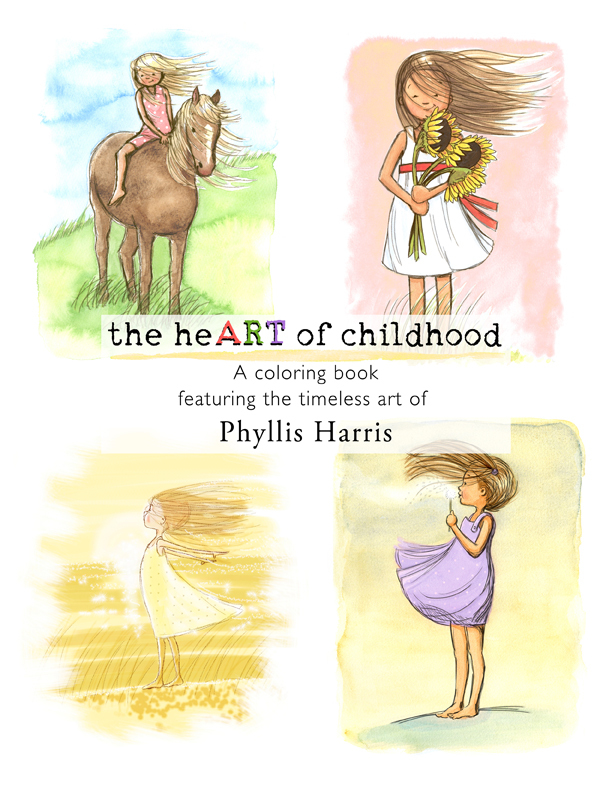 There are still lots of my first coloring book, the heART of childhood, going out to their new homes so be sure to get your copy soon as I am down to three last boxes and I would be so honored if you shared this link to my coloring book with your friends and family who might enjoy this new fun craze of adult coloring. It is so relaxing after a stressful day. Oh, and be sure to use the FREE U.S. SHIPPING coupon code USShipFree at checkout! Often times, as a solo-entrepreneur I run out of ideas. What I mean is, as I am trudging along going full speed ahead doing whatever is on the top of my priority list, i.e.- getting my new adult coloring books out to the public, and then I realize...what's next? As a small business owner, my job is never done. That's not a complaint, but a realization that I need to always be in the creative mode, at least a LOT of the time. That's not necessarily a problem since I LOVE what I do; create art! However, in putting my business woman cap on, I realize I need to keep the momentum going so.... I have been working behind the scenes on a BRAND NEW idea. 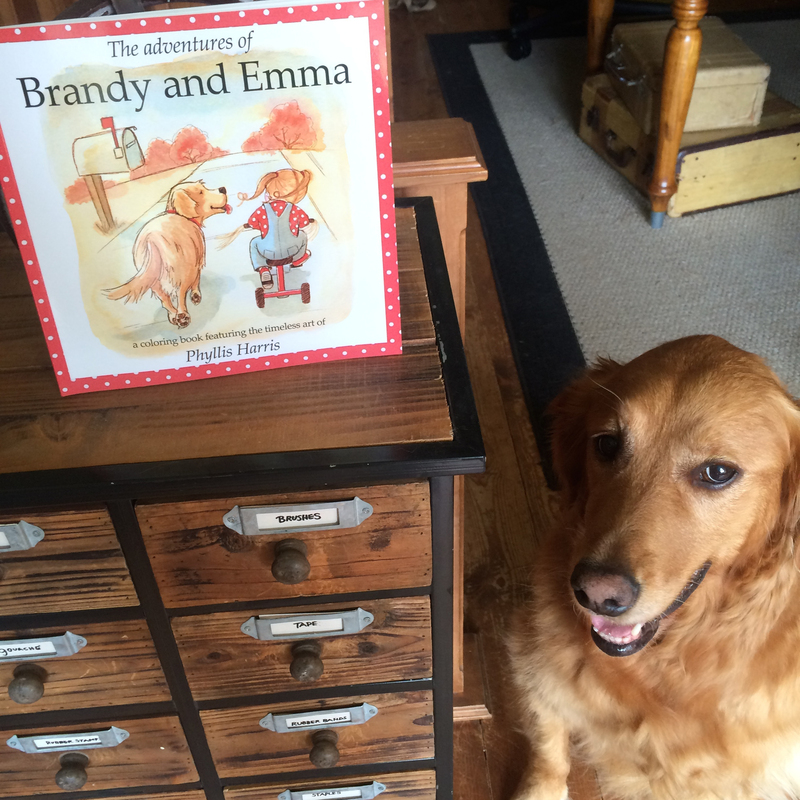 A Brandy and Emma Coloring Book/Story Book, a 2 -in 1 book. 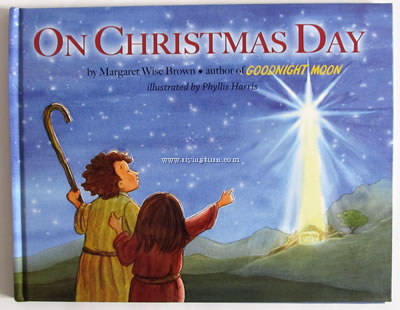 1, adults can enjoy the act of coloring and 2, enjoy reading with your little ones after the book is complete. It makes a wonderful keepsake for everyone to enjoy for years to come! Be watching for it's release any day. You may ask...who is Brandy and Emma?! 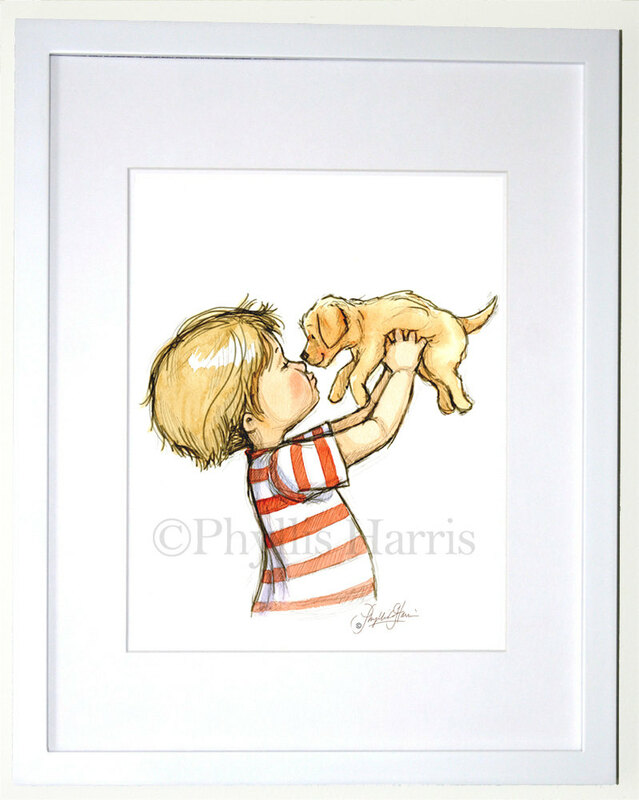 Have any of you noticed I have lots of art featuring golden retrievers and a small blonde headed girls? Ever wonder why? Many of you on this list are already familiar with my Brandy and Emma characters because of the stamping/crafting community. But for those of you who don't know who Brandy and Emma are, let me explain. 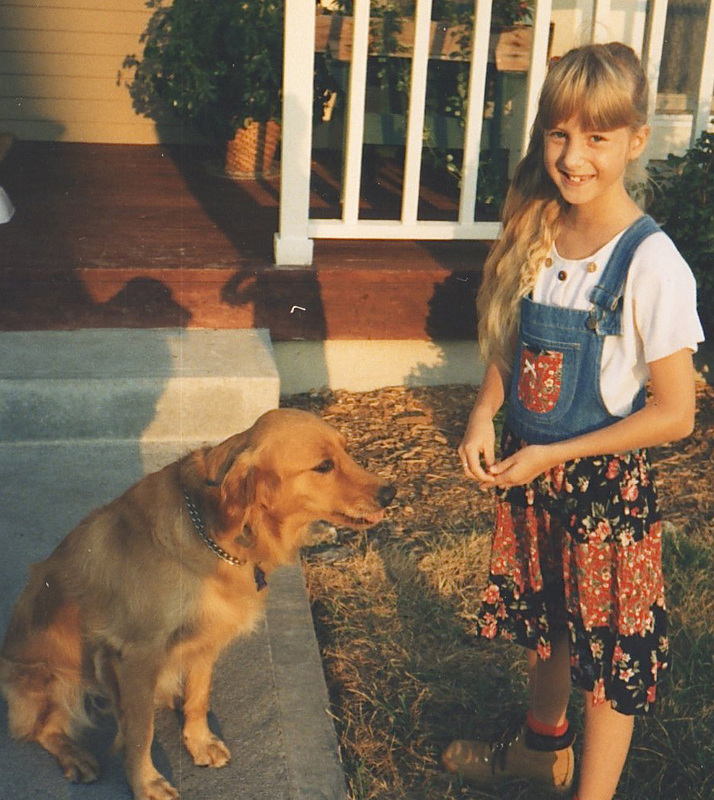 The character of Emma was based on our own precious daughter, Emily as a small girl. 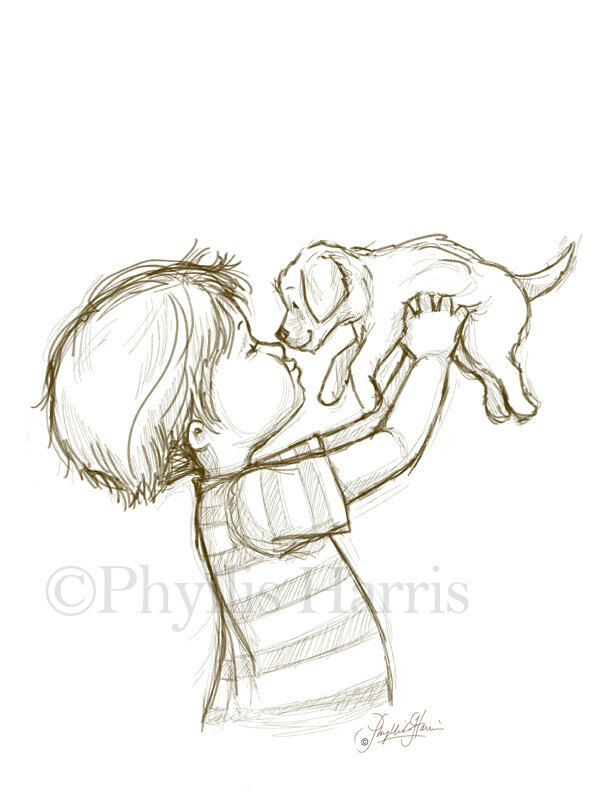 I am thinking it is finally time to create a book just for the two of them to go on their adventures! 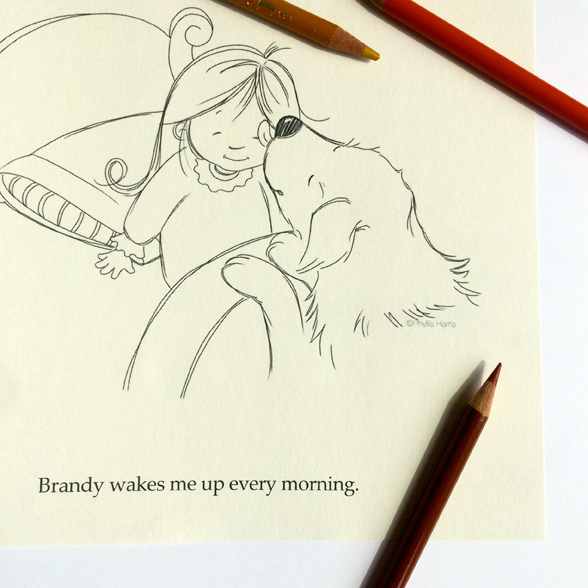 What would you all think of a coloring book of The Adventures of Brandy and Emma? To get a vision of what I am speaking of...Here are few of my best selling wall art prints that will be included in black and white sketch form in the coloring book. 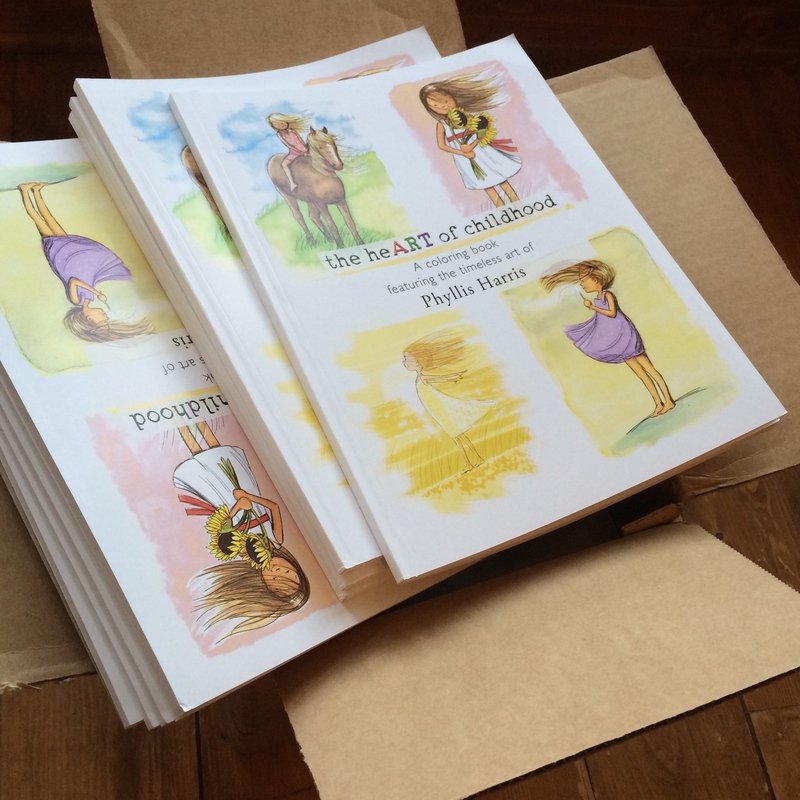 There are still lots of my first coloring book, the heART of childhood, going out to their new homes so be sure to get your copy soon as I only have 3 boxes left! And I would be so honored if you shared this link to my coloring book with your friends and family who might enjoy this new fun craze of adult coloring. It is so relaxing after a stressful day. Oh, and be sure to use the FREE U.S. SHIPPING coupon code USShipFree at checkout! Woohoo!!! 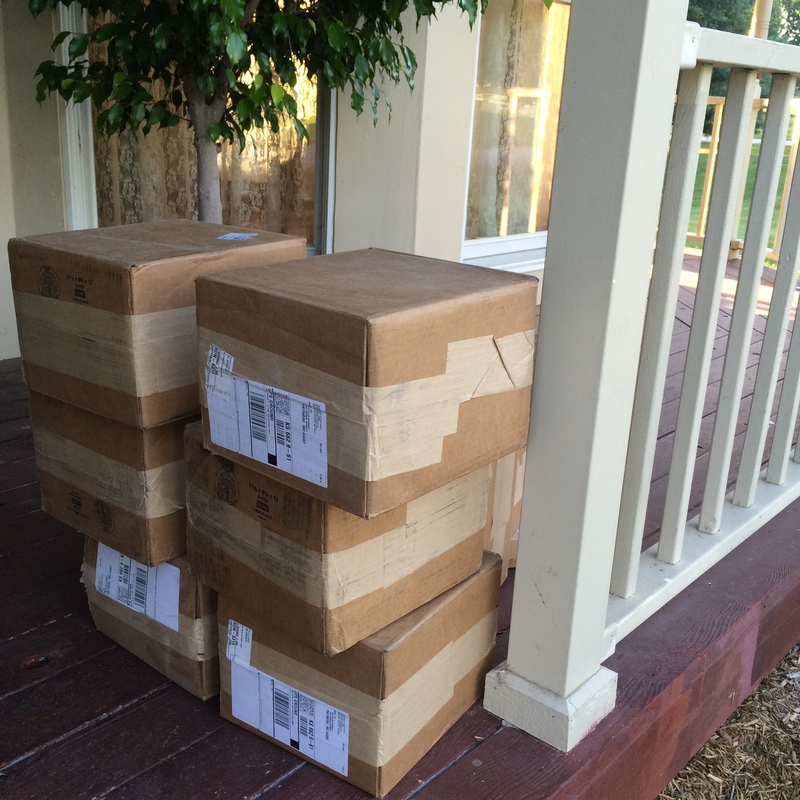 They are here!! 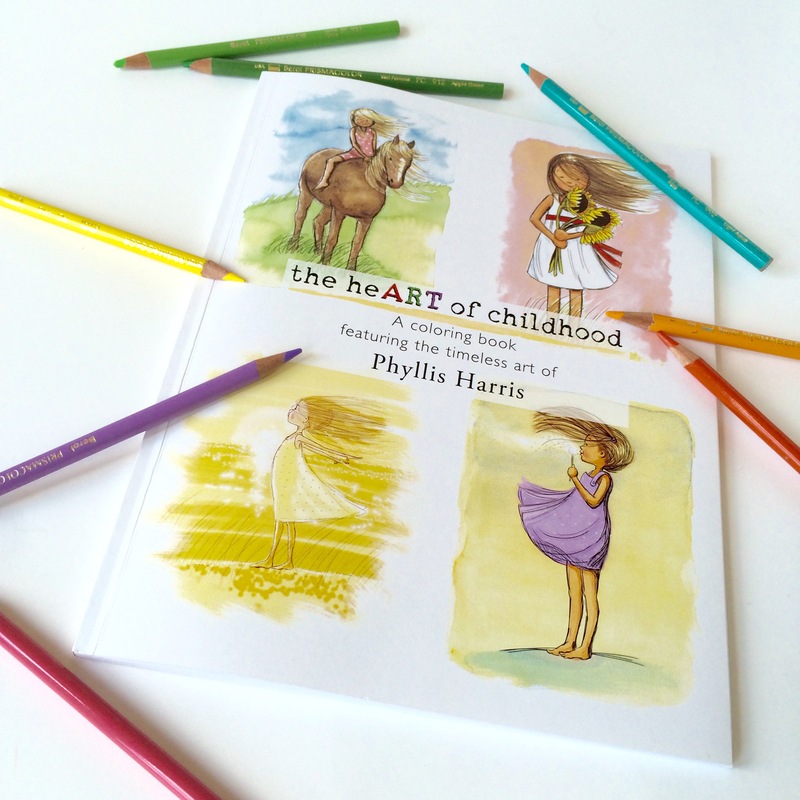 My second edition coloring books, the heART of childhood arrived! And wouldn't you know my strong husband was out of town on that day so I had to carry them all in by myself, lol! I certainly got my workout that day. I am so pleased with how they turned out! Here is a quick video of me showing some of the interior pages. I am offering FREE U.S. Shipping on the second edition but be sure to use the special coupon code USShipFree at checkout. It doesn't matter if you get one book or 10 books. The shipping is still free (for those in the U.S.). So sorry international friends! I am hoping to eventually find a way to get my book overseas. 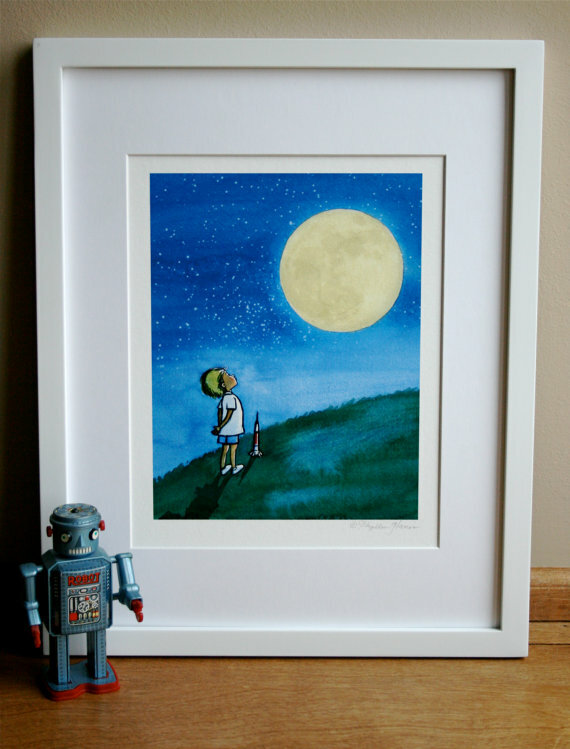 But for slightly more affordable international rates go to my Etsy shop here. 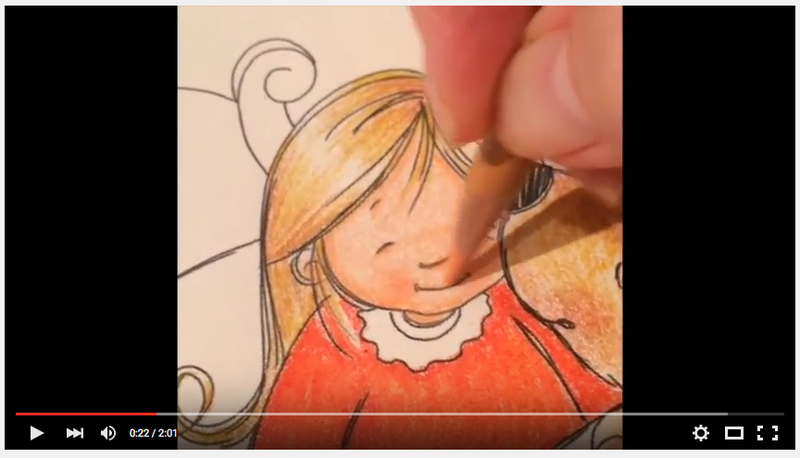 Be sure to check out some tips on coloring techniques in the videos on my Facebook page here and here. I cannot thank you all enough, my wonderful community of friends, for all of your encouragement and support through this whole coloring book project from the very beginning stages to now, my second printing! 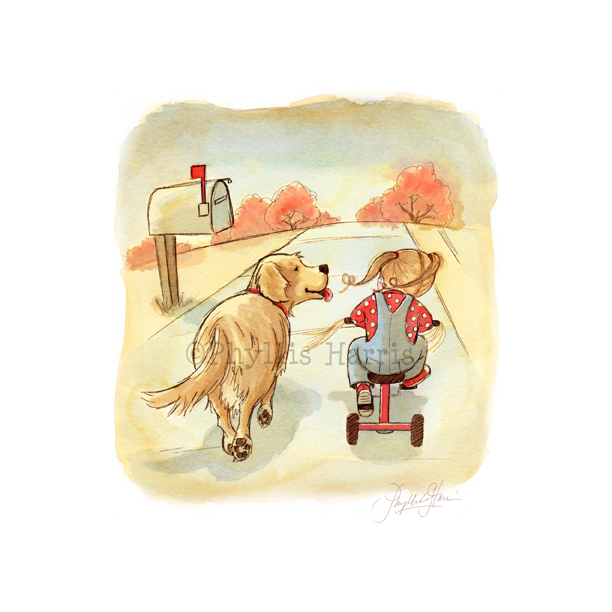 On another note: I am now offering original watercolor paintings in my Etsy shop of this brand new illustration which is offered in both boy and girl options. 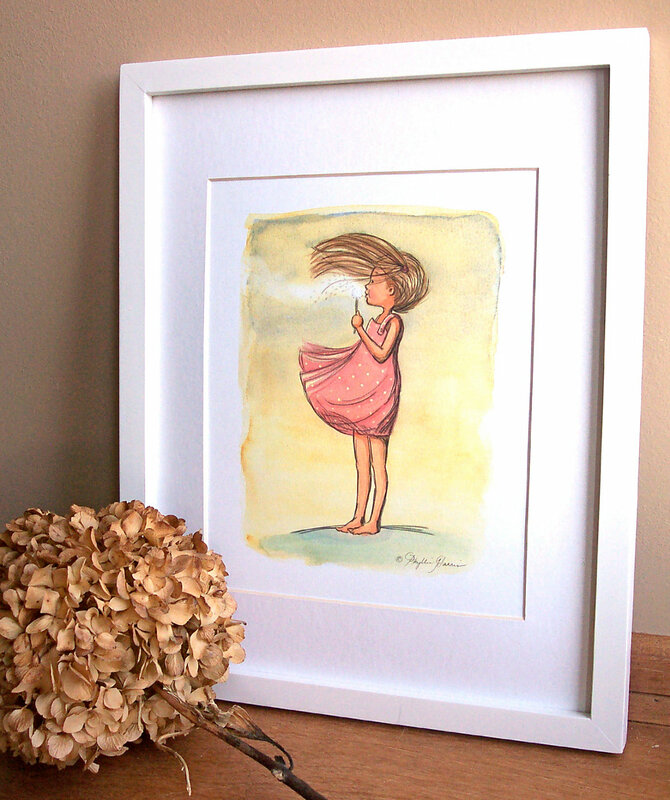 I am also offering color art prints as well as sketch only prints with no color. Click on the image to read more information on each option. I would be honored if you shared this link to my coloring book with your friends and family who might enjoy this new fun craze of adult coloring. It is so relaxing after a stressful day.